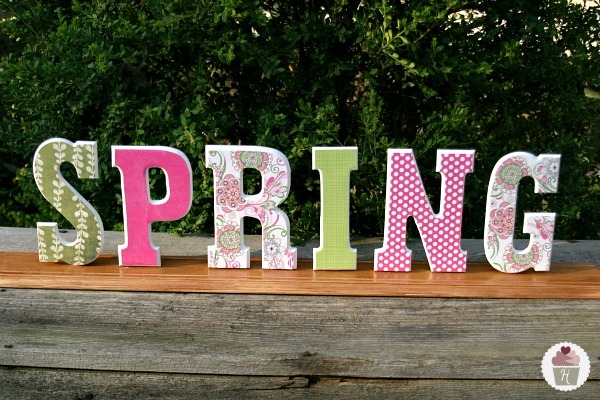 So spring is just around the corner and we cannot wait. 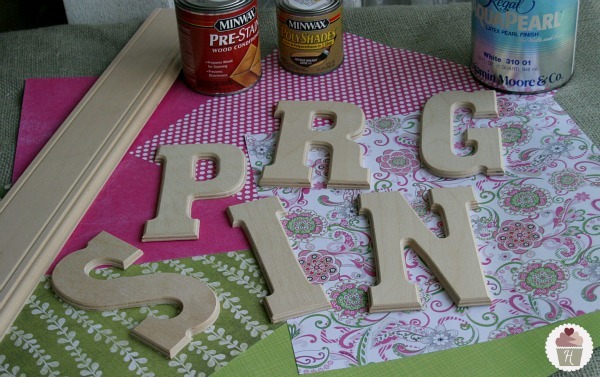 Hoosier Homemade's blog has just the DIY project to get us going on spring related projects so we can be ready to roll! 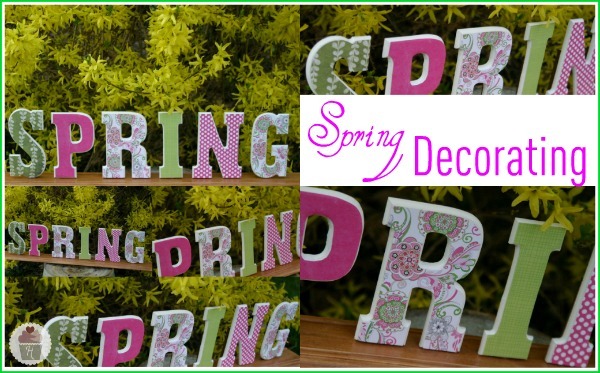 This one is a "Spring" decor idea that brings color and happiness to any room! 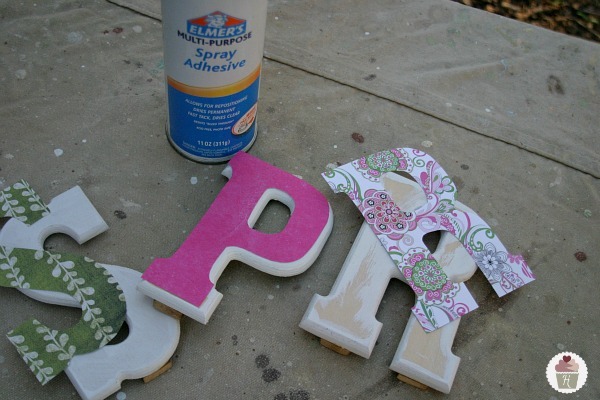 Be sure to check out their blog for more DIY. I just love how it turned out! Doug did an AMAZING job on it…don’t you think? The concept for the scrapbook paper being applied to the wood is similar to the St. Patrick’s Day Door Hanging we made, but the letters were a little curved on the edge, so Doug had to cut out the paper before applying it to the wood. It was a little more time consuming, but well worth it. And we couldn’t help but take pictures outside in the beautiful Spring weather we have! Cut your wood to length. Doug cut this piece, 5 inches longer than what we needed, leaving 2 1/2 inches on each end. Using a rag, apply the pre-stain. 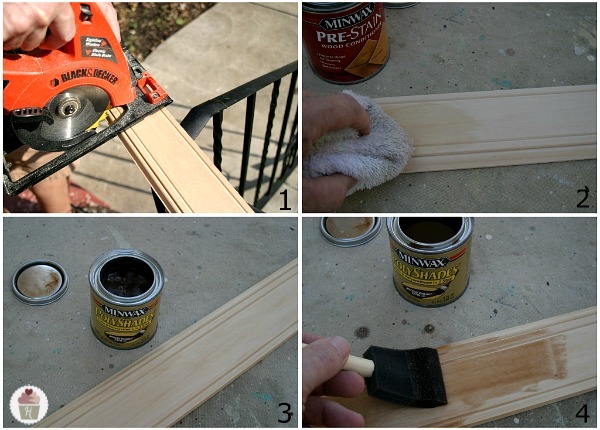 Pre-stain is needed when staining soft or porous types of wood to prevent the finish from being blotchy. Let sit 15-20 minutes to allow to soak in, wipe off any excess. 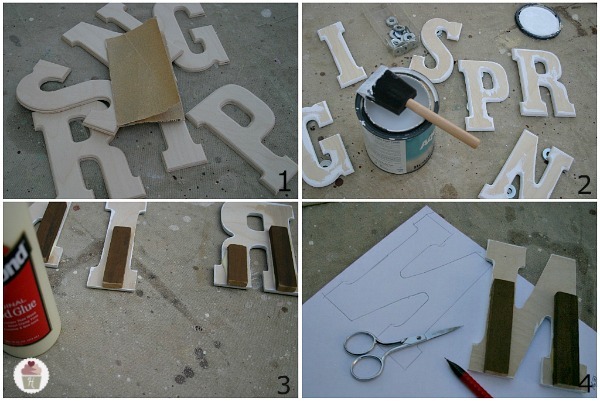 Glue a small block of wood to the back side of the letters to give more area to glue to base.